It looks pretty official that the St. Paul Classic Cookie Company won’t be opening up at Smith and Curtice after all – a new tenant has moved into the space and opened its doors to the public. 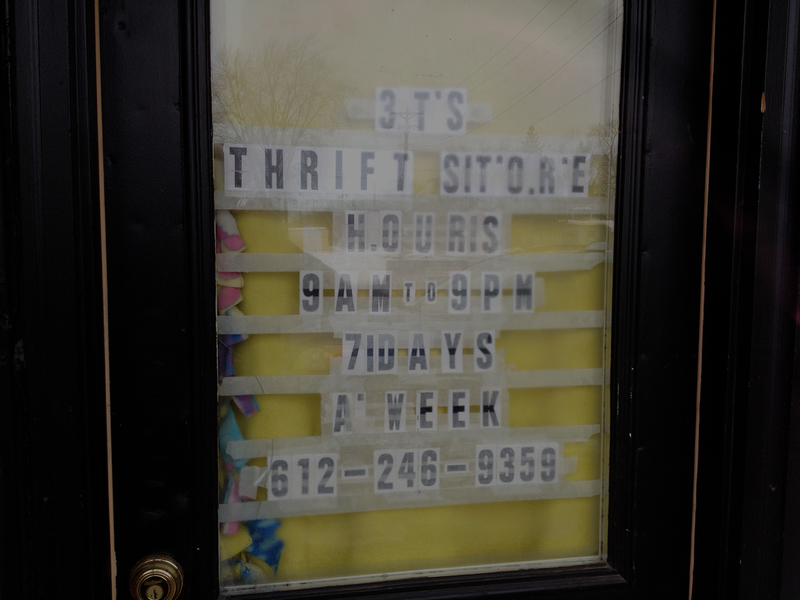 The 3T’s Thrift Store is now open at 779 Smith. The location was previously home Affordable Coffins and Artery, which left over a year ago for a bigger space in the Midway neighborhood. The cookie shop held a lease on the space for the past year, but unfortunately never got off the ground. I stopped by on Sunday and spoke briefly with Trinidad, one of the owners of 3T’s. He’s excited about the space and the traffic he sees going by on Smith, but is also well aware that a similar store was in the space a few years ago and went out of business in a short amount of time. He said the store will be getting more merchandise over time, possibly even appliances at some point. Most of the items he’s currently selling were donated from friends, recovered from storage units, etc. If you need a blender, an overhead projector and a wicker basket to take it all home in, this is your place. The pickings are a little thin at the moment – it’s basically garage-sale merchandise, but also at garage-sale prices. 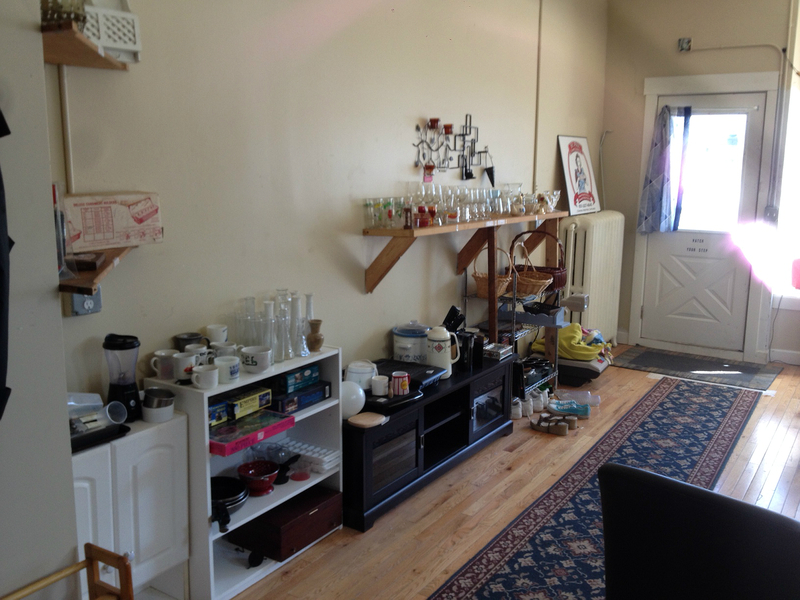 Like all good thrift stores, the selection is eclectic, functional and useful to the right person. Most smaller items were in the $1-$3 range, a kid’s bike emblazoned with Minnesota Vikings logos was for sale for $35. Trinidad says he’s willing to negotiate on prices. It’s hard to tell based on first impressions how successful this store will be. Trinidad, who lives nearby, says he’s putting “everything he has” into the business. The hours, 9 a.m. to 9 p.m. daily, are ambitious and will mean an “open” sign during times when most other shops in the area are closed (for instance, I Dream of Heels, next door, is only open on Saturdays). At any rate – it’s good to see some activity inside a space that’s been dormant for far too long. Stop in and say hello if you get a chance. Too bad this little shop did not do too well either. Sorry to see Trinidad having to close down. Maybe History Channel needs to start Twin City Storage Wars and and Trinidad can make another go.